This is a detail of a 1638 c.c./100 c.i. 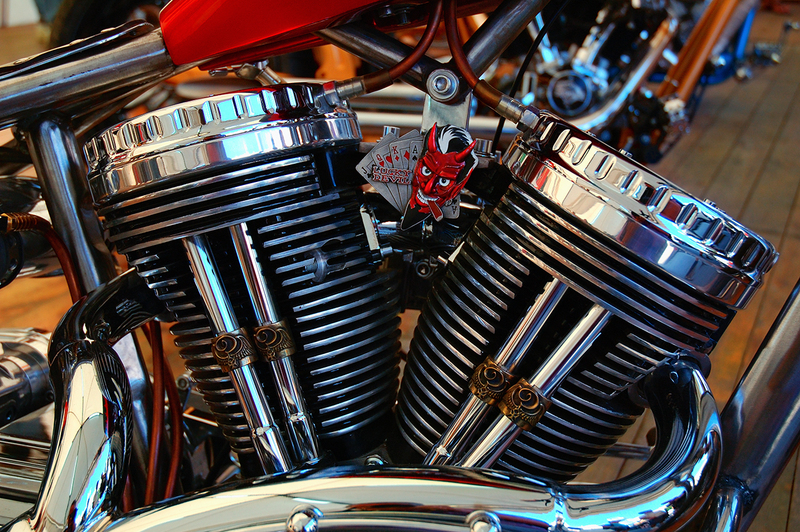 Indian Bobber (Lucky Devil) valued in 34.000 Eur. Barcelona Harley Days 2008 was a total success and according to official sources it gathered almost 10.000 Harley riders in Barcelona. I don't have photos of the flag parade but I captured some beautiful custom harley motorcycles that I will keep posting on coming days. Don't forget to click on the image for a larger version.